Cafeteria foods have come a long way. Most parents remember sloppy joes, and “mystery meat” days. But now schools offer healthier options like brown rice and fresh fruit. While I think that’s great, I still don’t entirely rely on their menu for my daughter’s nutritional needs. Arianna takes a packed lunch to school about 70% of the time, which means I spend a lot of time meal planning and putting together food that is tasty and healthy for her. But it’s not always easy to find new lunch ideas that your kids will like. So I’ve gathered up a few recipes on Foodie to keep on hand as we enter a new school season. 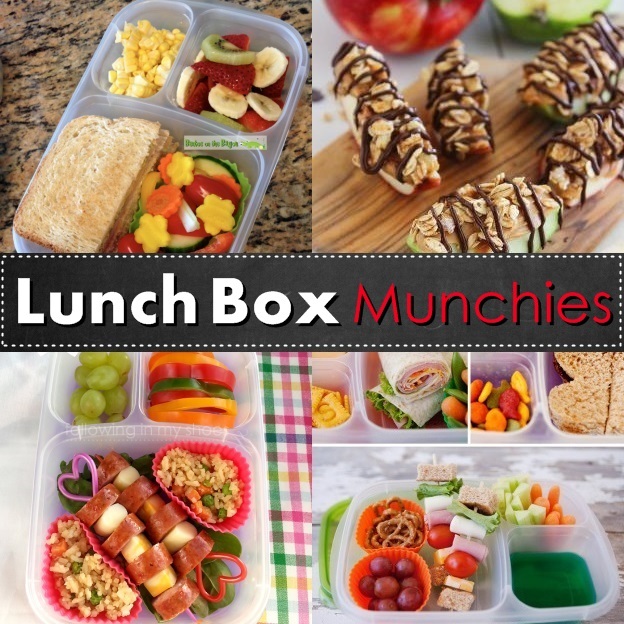 From peanut butter and apple sandwiches to pizza buns and turkey wraps, here are 16 Lunch Box Munchies your kids will love.